We offer a flexible postpartum doula support package in Surrey for any mother and baby. The postnatal doula, new mother home support aims to help you become the mother you want to be, providing a calming, supportive and helping presence in your home. It is carried out by Janine, our experienced, qualified postnatal doula. The packages are available for all new mums (whether that be first time, second time, third or fourth time!). We believe that all mums need support, and our packages can be tailored to whether you simply want an extra pair of hands to support you, or whether you need doula support for a specific reason such as a caesarian section or for support with mental health issues. The postnatal mum and baby support offered will be guided by mum and baby's individual needs and preferences, but typically includes cooking tasty meals, caring for baby whilst mother takes a shower or a sleep, light housework and laundry, non-judgemental emotional support, assistance and guidance with new baby concerns, shopping and small errands, spending time with an older sibling, and offering encouraging reassurance as mums grow in confidence. 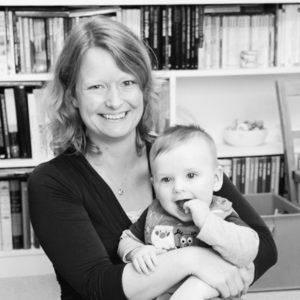 Janine, is a qualified and experienced postnatal/ postpartum Doula in Surrey, supporting new families in their homes, working previously as a midwife. The flexible support package hours are booked at a time to suit your family's needs, usually divided into 3-4 hour visits. Additional hours may be booked by agreement after initial contact. Please contact us to ensure availability. To find out more about what a doula does, visit Doula UK and learn about what a postnatal doula does, as well as the benefits of a postpartum doula. The initial meeting and postnatal doula care package take place at your own home with Janine. The package is available in most areas of West Surrey on request.